Find forms, a directory of our DBC churches, Dakota Happenings eNewsletters and giving to the DBC. 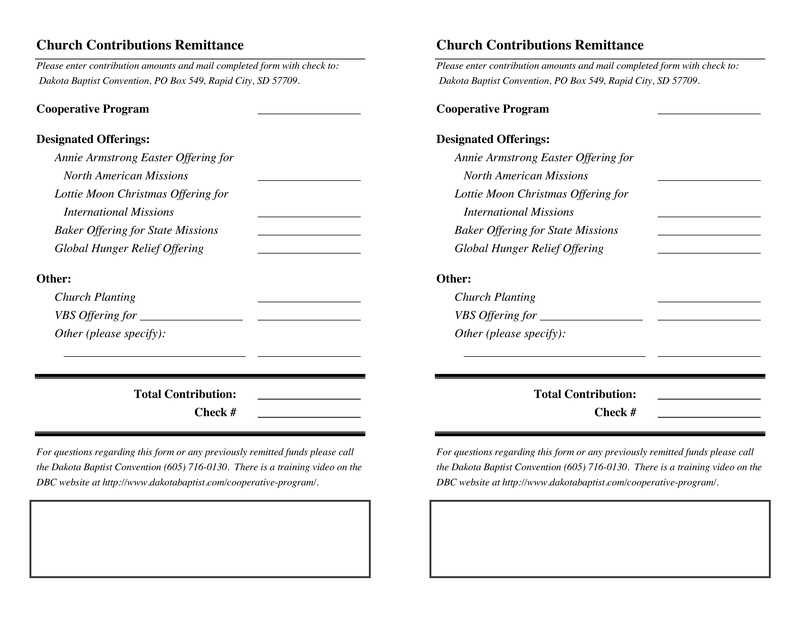 Church Contributions Remittance Slip: Open up a blank remittance slip that you can print and fill out. Church Planter Covenant: For those who have already gone through the NAMB process and have been asked to complete a covenant with the DBC.